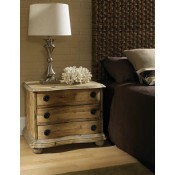 Bedroom furniture for coastal homes – stylish choices you’ll love! 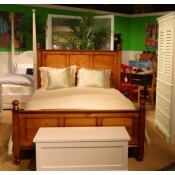 Pacific Home Furniture believes the bed is the focal point of any bedroom and should be a statement piece. When you have a coastal home you want the bedrooms to be a relaxing oasis. You want a beautifully appointed bedroom to wrap you in stylish comfort and ease all your cares away as soon as you cross the threshold. We think we have found a collection of beds, headboards, daybeds, chests, dressers and nightstands that will do just that. 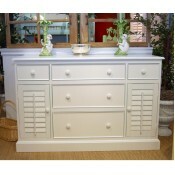 We also have a selection of children & youth beds your family will surely love. 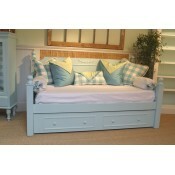 From coastal cottage to sleek and chic, twin to king you’ll find exactly the right bed for your coastal bedroom here. When rooms are empty they appear much bigger than they are. When you start adding in furniture, the room size seems to diminish. So what do you do to make the right choice? Our suggestion is to get a roll of painters tape and a tape measure. Look at your choices online and study the measurements. Now, tape the measurements out on the floor in the room in the way you want to arrange the furniture. You’ll be able to tell pretty quickly if a king size bed will work or if you’re going to have to size down to a queen. And as a general rule of thumb – you typically want between 30 and 36 inches of walking space around your bed. While you’re at it, tape out your other furniture pieces as well so you get a more visual idea of what the room will really be like. Just remember, once the furniture is in the room it will seem like it takes up even more space than what you taped out because of the mass of the pieces. On a side note: the room may not have the space to support a complete bed, (headboard and footboard combination), so consider using just a headboard instead. 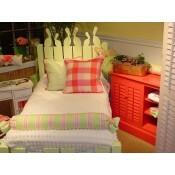 Many of our complete beds can be ordered in a headboard only. Please don't hesitate to contact Pacific Home Furniture for any design assistance.